It’s been a while since I last posted but its for a good reason, I promise. I’ve been hard at work on a few amazing projects and am excited to release the first of many. If you’ve read my post about side hustles, then you’re aware of the benefits these types of projects offer. Personally, I like the idea of running my own project from start to finish and the creative outlet it offers. The path to single motherhood is different for everyone. Some arrive as a result of divorce or separation, some by choice, while others become widows. But regardless of how you got here, the most important thing to remember is that the relationships you nurture during this time, will carry you through the journey. I’m not saying this season in life is all doom and gloom. Far from it, I’m sure you can easily come up with several examples of moments of joy and happiness. 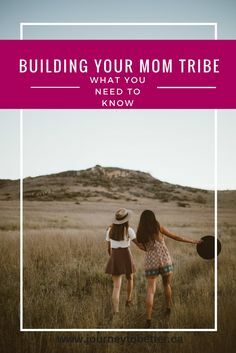 I see this time as an opportunity to thrive despite what’s going on around you and having a group of women you can turn to for guidance, support and advice — your mom tribe — is one of the best things you can do for yourself. If you’re still in the early stages of this season, it’s even more important to have women who will be there for you no matter what. There are days when the voice of self doubt seems louder than anything else. Whether you’ve missed out on an opportunity you really wanted or you made a mistake, self doubt creeps in and overshadows everything. Self doubt only serves to paralyze and stop progress. The more we listen to it, the more we talk ourselves out of moving forward. That’s why we need to break the cycle. Fortunately, you don’t have to get stuck. Rather than giving in negative thoughts, replace them with positive ones. It helps when you have them at the ready. That way you can immediately substitute a negative thought for a positive, encouraging one. Here are 60 positive affirmations for you to meditate on. They’ll help reinforce positive thought patterns, keep you moving forward and shake off setbacks. More than anything, they’ll remind you of how awesome you are and what you’re capable of. OK moms, raise your hand if you’re an “enthusiastic” list maker. You know what I’m talking about. You have a to-do list that seems to get longer by the minute. You either have a notebook in your purse at all times or an app that has somehow become your personal assistant. It doesn’t matter what method you use, the lists just keeping getting longer and it feels like you can’t keep up. You’ve got laundry to do, meals to cook, groceries to buy, kids to shuttle to school and events, emails to respond to, phone calls to make, a car to service, a house to clean and….I could go on but you get the picture right? If you can relate, welcome to the club my list-making sister! I completely understand. With our lists as long as they are, it’s easy to feel overwhelmed and struggle to get organized. So what do you do? Before you lose your mind, I have a solution for you! Before you say anything, I know I spend an obscene amount of time talking about podcasts. I can’t help it, they’re the best way to stay on top of current events and to learn something new. I’m almost always plugged in when I’m out and about. 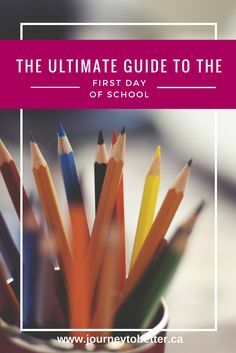 Whether I’m driving to an appointment, grocery shopping or taking a break at work, I’m usually listening to the latest episode of one of my go to podcasts. Rather than bore you with how awesome I think podcasts are, I figure it’s time to share some of my favourites with you. If you’re always on the go and want to try something a little different, check out this list of podcasts to get you started. I use DoublePod to access and download my podcasts but there are tons of others to choose from. DoublePod’s great for Androids. If you have an iPhone or iPad, you can download the latest episodes from iTunes. Happy New Year everyone! I’ve been on hiatus taking a much needed break but I’m back and ready to get 2017 started. I feel refreshed and brimming with lots of great ideas for the blog this year. Stop by regularly for tips on easy food prep, how to juggle life and motherhood and much more. Bring it on 2017! Speaking of the new year, how many of you have resolutions? I don’t usually do the resolution thing but have instead adopted a new concept a friend shared with me. Instead of dreaming up a list that sounds more like a wishlist than reality, she suggested thinking of one word that you want to define your year. There’s something I want to get off my chest. Isn’t that what blogs are for? To vent your frustrations on a platform that will reach the masses? Yeah? Maybe? Fortunately, this is my blog so I get to do that when the occasion arises. So…what’s with some people? It may seem silly at this point but something happened this weekend that bugged me. Why do some people do the things they do? On Sunday afternoon, while walking my mother to her car from my house, I noticed that one of my planters was missing. You know the ones, they’re plastic, cement or cast iron and hold a variety of flowers. Granted, both of mine were empty because for various reasons I skipped planting flowers in them this year and opted for a few hanging plants. Looking For Encouragement? Thrive Moms is for You! Good day ladies! Just a quick post to let you know that my home girl Jen and I recently joined the Thrive Moms Local community. The mission of the Thrive Moms ministry is to bring mothers together to uplift, inspire, provide encouragement, friendship and prayer for one another during our journey. It isn’t always an easy walk but it helps to connect with other women who can understand and relate to your situation. God has called us to be mothers by entrusting us with our amazing children. Because of this he wants us to live life to the fullest and enjoy all of the things that he has provided for us. 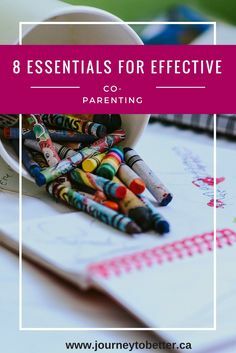 Thrive Moms helps with this by connecting moms not only globally online (through their newsletter, ministry, devotion studies and online meetups) but also locally. It’s important to get engaged with the community around us, meet new people and support each other as best we can. Before having Miss O I thought I was a very patient person. However, throw in a toddler with a mind of her own and the patience starts to wane. Between asking her to put away her toys multiple times before bedtime and trying to catch her to put on her coat before heading out the door, I have to admit that there are times when I don’t play it cool. The last few months have seen me on a journey of self discovery and living a life filled with conscious decision making and injecting small pleasures into my everyday life. I enjoy listening to podcasts while driving to and from work which seem to be the only times of the day when I can completely shut off my brain (well in all fairness, to avoid accidents I don’t shut it off completely!) and just exist in the moment. I’m not thinking about what’s for dinner, laundry that still needs to be done or the big business meeting coming up. Instead I plug in and listen to a variety of topics. One of my favourite podcasts (and corresponding blog) is The Lively Show. The host, Jess Lively shares tips and tricks on how to live with intention. During an episode from earlier this year she talked about implementing 3 things into your day that make you feel great and get it started right. These can be different for everyone but the point is to focus on yourself vs your to do list. This got me thinking. What things can I do to put me in the right frame of mind before my day even gets started? There are a number of things that I can do but I narrowed the list down to 3 things and have been practicing the items on a daily basis.